This lesson we'll be looking at the minor pentatonic scale on guitar - probably the most used scale in rock music, definitely the most used scale in blues (although there is an extended "blues scale" which we'll look at another time). This scale uses only five tones, hence the name pentatonic. One of the major limitations I see guitarists put on their playing is boxing themselves in. What I mean is, they just play the pentatonic scale in one position and neglect the rest of the fretboard - is this you? If so, I'll show you how to unbox your pentatonic licks so you have the freedom to roam the fretboard for fluid, effortless soloing (get a head start with this here). Although I mentioned not getting boxed in with your scales, you have to start somewhere, so it may as well be the boxed pattern that is most commonly used by guitarists. So those are the patterns I'll reference first. First, let's put minor pentatonic into context. It's essentially a five tone minor scale. We can see it as a "stripped down" version of other seven-note minor scales. So minor pentatonic should always be an option if you're soloing in a minor key. The 1 note is known as the root note of the scale, and the note which defines the key in which you play the scale. So if the root note was positioned on G, the scale would be G minor pentatonic. What makes the scale minor? The minor 3rd (also known as a flat 3rd/b3). So now we're able to apply the minor pentatonic scale around those familiar chord shapes that use E and A string root notes (e.g. the E and A shape barre chords). As mentioned before, minor pentatonic works predominantly over minor chords due to its minor 3rd interval. Let's have a play around with the boxed patterns to begin with. The idea is not just to play it in sequence, from root to root, but rather skip around the scale and find interesting hooks and phrases. Move up and down the scale, vertically and horizontally. Many guitarists use the "call and response" technique, which is where you play a phrase that sounds unresolved (e.g. it might have the characteristics of asking a question), then you "respond" with a more resolving phrase (e.g. a sequence that ends on the root note or another "safe note"). That particular phrase started and ended on the root note, which is seen as a strong "safe note", which is useful for naturally resolving a sequence. Other safe target notes for your phrases are the minor 3rd and 5th of the scale. 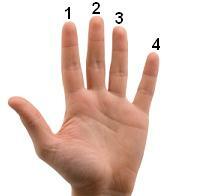 Incidentally, these are referred to as "chord tones" because they make up the minor triad (1 b3 5). Targetting chord tones helps to keep your solos connected to the backing music. Remember that! Another common technique is to stagger your way up or down the scale in a run. This is where you move up and/or down a scale in a repetitive sequence. In this first run example we're taking 3 steps (notes) forward, 1 step back, another 3 forward, 1 back, 3 more forward etc. Now try 5 steps forward, 2 back, 5 forward etc. You can just mirror or invert that pattern when coming back down the scale for a similar effect. I've only scratched the surface there! Try and come up with your own runs and staggered sequences. Now let's try some more vertical movements across the 6 strings as opposed to just horizontal movements. Remember, these are all using the boxed pattern from earlier. These "one note per string" vertical movements are the foundation for playing arpeggios (another lesson altogether! ), and as we're playing minor pentatonic, you can play a basic minor arpeggio by playing the root note (1), minor 3rd (b3) and 5th (5). Those 3 notes make up the basic minor triad and can be used to compliment the other types of phrases we heard above. Mix it up! We'll look at more complex sequences in another lesson. One step at a time! It's also useful to learn the intervals between these notes so you know how to get to the next or previous note no matter where you are. Tip: It's a good idea to learn the relationship between intervals in the scale. For example, the root - 3rd interval has a distinct sound, as does the 5th - root interval. More on building large minor pentatonic scale patterns here. When you're ready, time to put things into practise (and practice). String skipping and jumping around the scale rather than just one note after the other in sequence. Try the occasional run and think about which notes you start and finish the run/phrase on (e.g. ending a phrase on the minor 3rd can sound good). When the chord changes, try and highlight this in your solo by choosing a note that compliments the change. When the chord changes back to the tonic ("home" chord), think about which landing notes sound good.